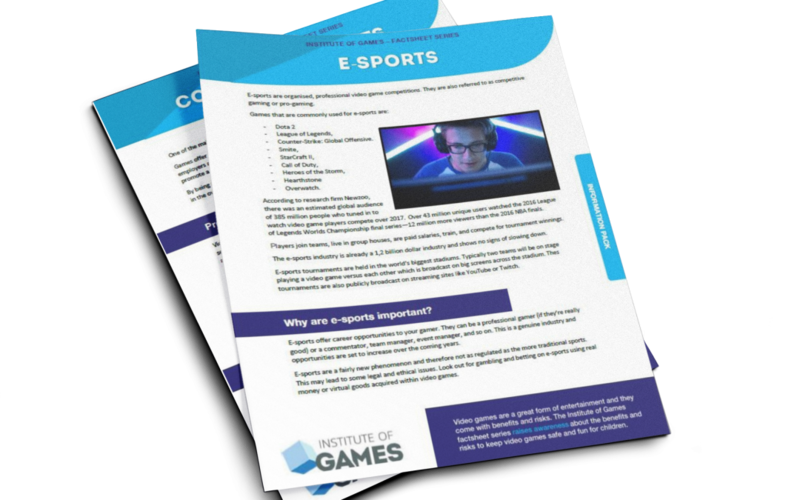 Get the info pack to receive 14 factsheets about the impact of gaming. 14 Free factsheets about the impact video games have on children and young people. The content ranges from violent video games to addiction to the positive benefits video games can have on your family.